Tom Bober (@CaptainLibrary), teacher librarian extraordinaire and former teacher in residence at the Library of Congress, put together a fantastic primary source set to accompany the picture book, Her Right Foot, by Dave Eggers. 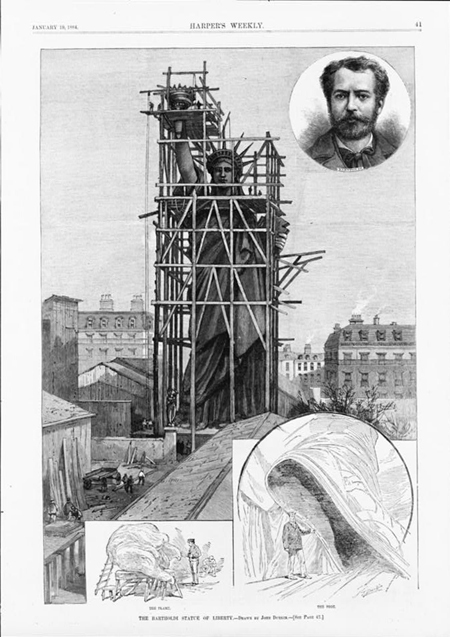 In a post on Knowledge Quest from the American Association of School Librarians, Tom details a plan for pairing primary source analysis with the book to help students explore how and why the the Statue of Liberty was built and to deepen their understanding of this American symbol. Read the post: Pairing Picture Books and Primary Sources: Her Right Foot by Dave Eggers.